Stay overnight on campus for your New Student Conference! You can stay by yourself, with your parents, or with your entire family. We have multiple options available in regards to apartments and residence halls. Rooms are available from May 23 to July 21. Reservations begin at $30 a night. 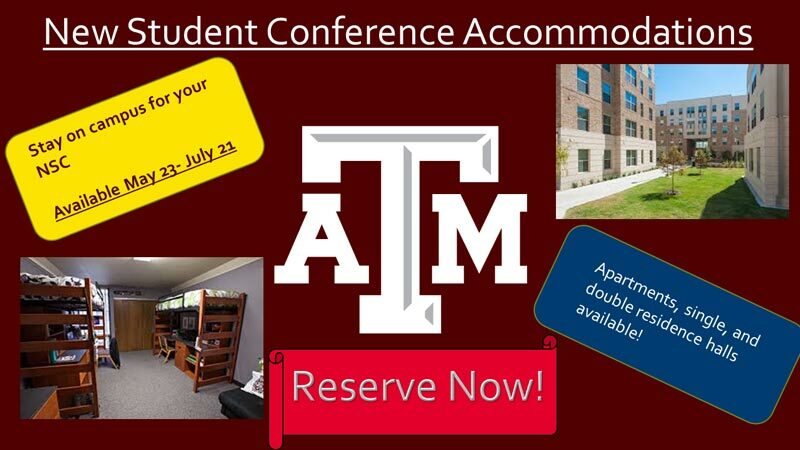 Visit http://reslife.tamu.edu/guests/nsc/ to make your reservation today. Contact Conference and Guest Services with any questions.